The Qolsys IQ Classic Kit Rogers provides excellent protection for a home or business. The kit provides an original IQ Panel system with integrated Rogers (Canada) Cellular Communicator, three IQ Mini Door/Window Sensors and an IQ Motion Sensor. The system works with Alarm.com. End users will appreciate the system's beautiful 7-inch touchscreen and 800x400 resolution. Its built-in wireless receiver allows it to be used with most 319.5 MHz sensors. This includes the Qolsys S-Line Sensors, but these devices will not utilize rolling code encryption when they are used with the system. Up to 59 wireless sensors can be added. The system's built-in Z-Wave controller can manage up to 75 smart home devices. 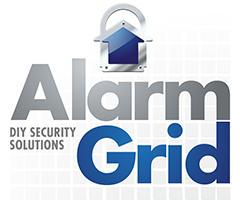 Remote arming, disarming and Z-Wave home automation control can be used through the Alarm.com interactive service once the user has an Alarm.com account set up with their monitoring company. Can I Use More Than One Battery Pack in a Qolsys IQ Panel?